This 2017 WCI/A Lennar Company built home was just completed and ready for YOUR SPECIAL TOUCH!. 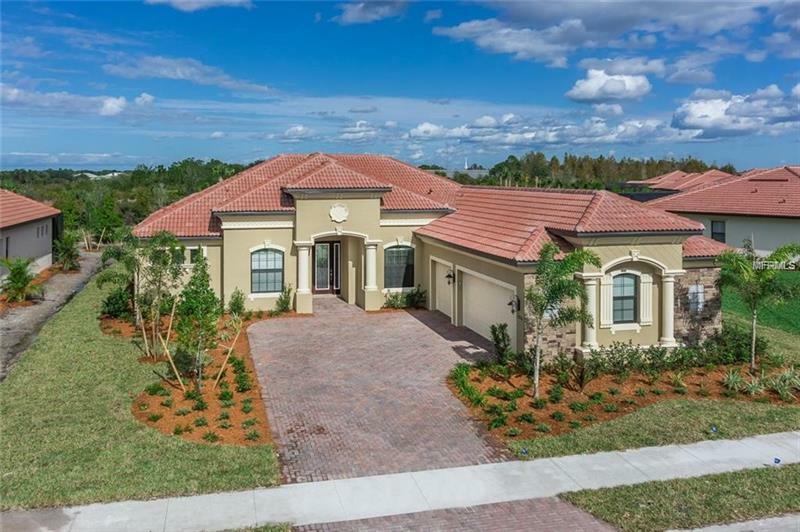 This lovely * GOLF COURSE SECTION* Napoli design home has all the "BELLS & WHISTLES"... like tray ceilings, crown molding, plank tile floors in common areas, beautiful quartz, wood cabinetry and hurricane impact windows (with exception of sliders). This lovely 3 bedroom, 2 1/2 bath home has a den with closet that could be used as a 4th bedroom, plus a 3 CAR OVER SIZED GARAGE. HOME HAS NEVER BEEN LIVED IN! This home is located in the WORLD CLASS RESORT ENVIRONMENT of SARASOTA NATIONAL, one of Venice's MOST LUXURIOUS COMMUNITIES. This gated community features golf with membership included, tennis, top of the line fitness center, BEAUTIFUL CLUBHOUSE, community pools, spa and restaurant. You're 15 minutes to the beautiful Gulf beaches of Southwest Florida. PARADISE AWAITS. Pet Restrictions: Must be leashed, and must clean up after your pet.